Place names are complicated in the Caucasus. The best modern example of this is the nation of “Georgia.” The name “Georgia” is an exonym– a term used by outsiders to refer to a place. The local name (autonym) for Georgia is საქართველო (sak’art’velo), which translates to “the place where the k’art’veli live,” with k’art’veli being a ethnonym for people from central Georgia. But complicated story of how the rest of the world came to call this land Georgia is just the latest chapter in a long-running history of name confusion. Here, I want to talk about a much older part of the story, about the exonyms used for the region in the Hellenistic and Roman periods– Iberia and Albania. 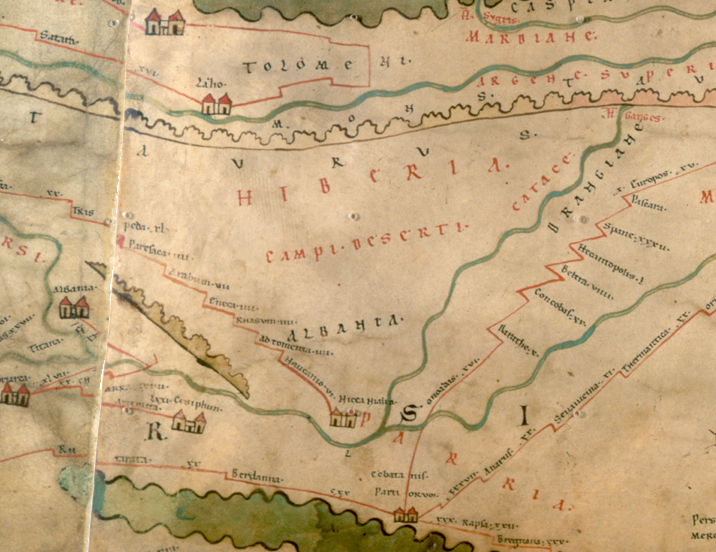 Iberia, often called Caucasian Iberia for the sake of clarity (Кавказская Иберия in the Russian scholarship), corresponds to the heartland of ancient central Georgia, while Caucasian Albania (Кавказская Албания) lies to the east of this, centered roughly in what is today northern Azerbaijan. If you’re scratching your head and thinking that the ancient world had another perfectly good Iberia (the Iberian peninsula) as well as a far-distant Mount Alban in Italy, you’d be right. Really, we have no idea how the names “Iberia” and “Albania” came to be attached to the polities of the South Caucasus– or why they were preferred over autonyms. We know, for example, that the term kartli was already in use to refer to the polity of Iberia, although we sadly do not know what the autonym for Albania was. Getting back to the main question, we are by no means the first people to wonder how these places came to be known by such particular names, or to dream up explanations. One of my favorite Latin references to Caucasian Albania comes from a Late Imperial epitome, Justin’s abbridgment of Pompeius Trogus’ Philippic Histories. 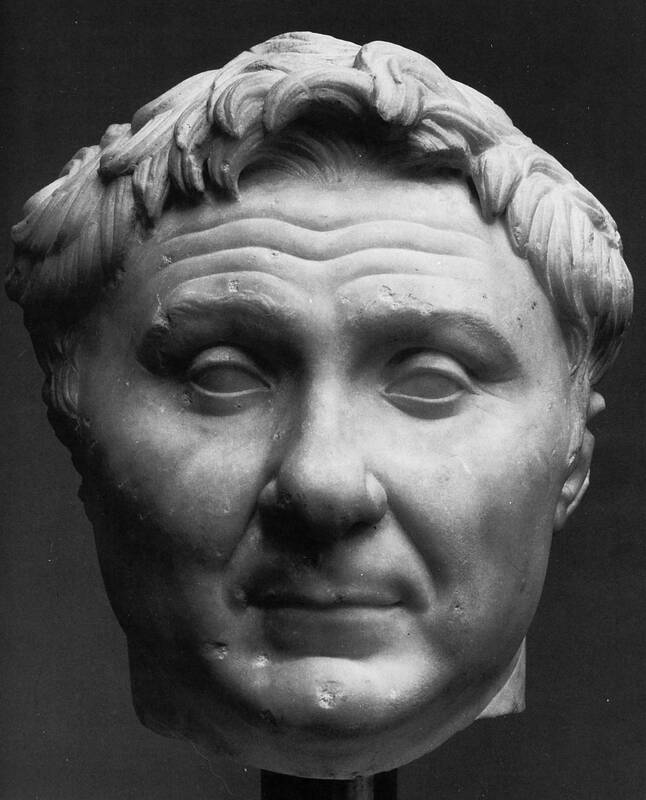 The Caucasus feature briefly, when Justin/Trogus describes the exploits of Pompey in his Caucasian campaign. Justin/Trogus frames the march of Pompey in terms of an earlier (indeed mythic) journey of Jason (of the Argonauts) through the Caucasus. Jason, prefiguring Pompey, subdued the local populations and appointed kings to some of the Caucasus tribes, but did not appoint one to the Albanians. Instead, he made an alliance with them. Why? Unlike their neighbors, the Albanians were his blood brothers. As Justin/Trogus tells us, the Albanians were the descendants of Italians who had been led out of their home territory, near Mt. Alban, by Hercules! Lee Patterson has suggested that this episode demonstrates that the Romans were using kinship diplomacy in the region, trying to entwine local dynasts with their own power structure. As such, this episode reflects not any local truth, but rather the priorities of the Roman government. And surely, the image of local citizens gratefully embracing their would-be conquerer seems unlikely. What really draws me to this story, though, is the detail about Mt. Alban. It reflects this same sense desire that we all still feel today to understand how these wonderfully odd twists of history happen– to explain “the Albanians.” The real answer to this mystery is, of course, lost to time. But at least we know that we’re not alone in wondering about it.